After several tireless days we have finished crunching the numbers from nearly 750 13F filings issued by the elite hedge funds and other investment firms that we track at Insider Monkey, which disclosed those firms’ equity portfolios as of December 31. 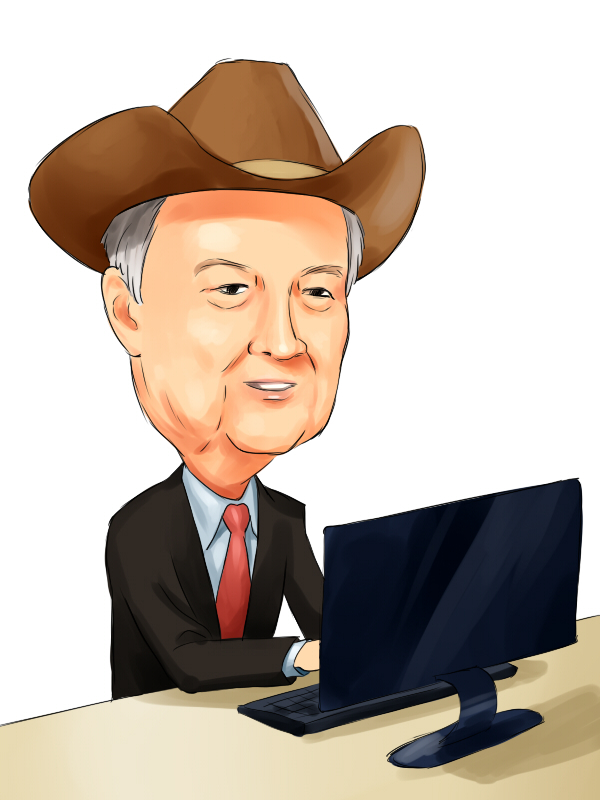 The results of that effort will be put on display in this article, as we share valuable insight into the smart money sentiment towards The Coca-Cola Company (NYSE:KO). The Coca-Cola Company (NYSE:KO) shareholders have witnessed an increase in hedge fund sentiment of late. 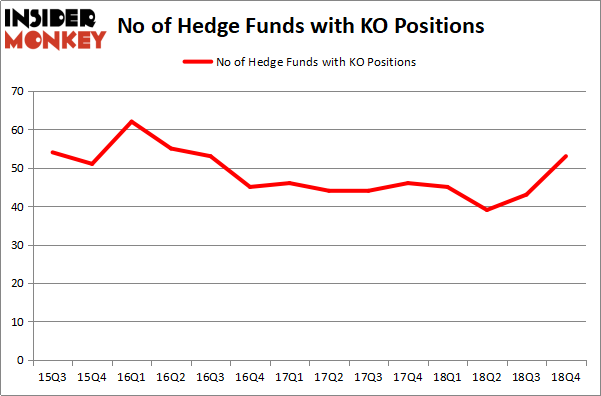 Our calculations also showed that KO isn’t among the 30 most popular stocks among hedge funds. Let’s check out the recent hedge fund action encompassing The Coca-Cola Company (NYSE:KO). At Q4’s end, a total of 53 of the hedge funds tracked by Insider Monkey were long this stock, a change of 23% from one quarter earlier. Below, you can check out the change in hedge fund sentiment towards KO over the last 14 quarters. With hedge funds’ sentiment swirling, there exists a few key hedge fund managers who were upping their stakes significantly (or already accumulated large positions). As one would reasonably expect, some big names were breaking ground themselves. Point72 Asset Management, managed by Steve Cohen, initiated the most outsized position in The Coca-Cola Company (NYSE:KO). Point72 Asset Management had $54 million invested in the company at the end of the quarter. Principal Global Investors’s Columbus Circle Investors also initiated a $37.7 million position during the quarter. The other funds with brand new KO positions are Michael Kharitonov and Jon David McAuliffe’s Voleon Capital, Robert Pohly’s Samlyn Capital, and Sander Gerber’s Hudson Bay Capital Management. Let’s go over hedge fund activity in other stocks similar to The Coca-Cola Company (NYSE:KO). We will take a look at Merck & Co., Inc. (NYSE:MRK), Novartis AG (NYSE:NVS), China Mobile Limited (NYSE:CHL), and Cisco Systems, Inc. (NASDAQ:CSCO). This group of stocks’ market valuations are closest to KO’s market valuation. As you can see these stocks had an average of 42.75 hedge funds with bullish positions and the average amount invested in these stocks was $2678 million. That figure was $20695 million in KO’s case. Merck & Co., Inc. (NYSE:MRK) is the most popular stock in this table. On the other hand China Mobile Limited (NYSE:CHL) is the least popular one with only 14 bullish hedge fund positions. The Coca-Cola Company (NYSE:KO) is not the most popular stock in this group but hedge fund interest is still above average. Our calculations showed that top 15 most popular stocks among hedge funds returned 19.7% through March 15th and outperformed the S&P 500 ETF (SPY) by 6.6 percentage points. Unfortunately KO wasn’t in this group. Hedge funds that bet on KO were disappointed as the stock lost 3.5% and underperformed the market. If you are interested in investing in large cap stocks, you should check out the top 15 hedge fund stocks as 13 of these outperformed the market. These Hedge Funds Were Right Betting On Corindus Vascular Robotics Inc (CVRS... Levin Capital and Other Hedge Funds Are Snapping Up Farmer Brothers Co. (FARM... Hedge Funds Are Snapping Up Select Interior Concepts, Inc. (SIC) Jeffry Gates’ Gates Capital Management’s Return, AUM, and Holdings Electron Capital Partner’s Return, AUM, and Holdings Which is the Most Popular Company Among Hedge Funds?